RESET YOUR FITNESS. ELEVATE YOUR TRAINING. EVOLVE. Join Laird Hamilton, Gabby Reece and the XPT Team for a three-day tropical fitness retreat. You’ll learn the XPT Breathe, Move, Recover curriculum through performance breathing, pool training with underwater workouts, gym training, nature workouts, ice-heat therapy sessions, stand up paddling, recovery work, lectures, and XPT lifestyle education. Experience the ultimate lifestyle transformation. Is this experience right for me? Don’t be intimidated! The XPT Experience was created to suit all fitness levels. You do not need to be a world-class athlete or in elite shape to benefit from the XPT Experience. Guests come from many different backgrounds, ages and fitness levels. We’ll meet you where you currently are and help you explore the edges of your comfort zone. This experience is all about YOU and we will make sure you leave with dozens of new tools, information, and inspiration to help you live a performance driven life! Due to the limited availability for this XPT experience, we would love to speak with you! Please provide your best contact information, and a team member will reach out to work with you personally. Please Indicate the best time of day to contact you. Specific questions we may address for you? Laird Hamilton and Gabby Reece are XPT founders and the inspiration behind the XPT strength and conditioning training program; with a culmination of 30+ years in high level athletics, chasing giant waves, playing professional volleyball, and exploring human possibilities, Laird and Gabby set the tone in living a limitless life. 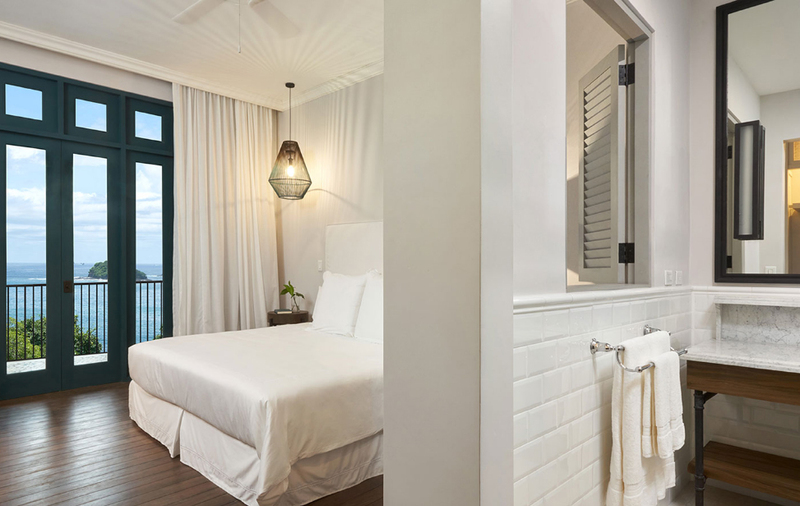 All rooms feature king beds, sustainable wood floors and spacious bathrooms with a seasonal array of locally sourced amenities; most also boast private balconies with striking handmade Cuban style pressed tiles as a dreamy perch to sip morning coffee or watch the sun slip into the Pacific.